I think it’s almost offensive for those that are paid and making millions to tell those that are unpaid and the engine generating millions that they are blessed is equally laughable and kinda sad. Because [a boycott of the Final Four] has been discussed among players. And that is not some crazy notion. That’s a fact. It’s a fact that’s been confirmed by multiple people. It’s a possibility. And I think many have discussed, “Well, what would happen? What would be the result of it?” And the players, it’s clear, have economic power and political power, but they’re transient, and they’re only in college a certain amount of time, and it would be a sacrifice. For people who believe that the NCAA is a profit-gobbling cartel that keeps players in a position of indentured servitude, this statement represented a glimmer of hope about the possibility of change. One year later, seeing the women of USA Hockey strike before their own world championships is a bracing reminder of the power that athletes can have when they flex their economic might. As for college basketball, the NCAA is in a precarious position. It gets 81 percent of its operating budget from March Madness. If the top three players on each Final Four team took off their hightops, the system would be brought to its knees. Anyone who doubts the economic power of young athletes need only look back to 2015 when Mizzou’s football team refused to play in protest of the school administration’s inaction in the face of on-campus racism. The university faced a $1 million fine and the president was gone within a week. NCAA athletes have incredible social and economic power, which is why their rights are policed so ferociously by an army of high-end attorneys and lobbyists. But the more the NCAA’s legal muscle tries to smack down dissidents, the more it reveals just how wrong the system is. One common argument against paying these athletes is that the cost of their tuition and room and board is already covered. But NCAA is a billion (with a b) dollar annual industry. The idea that players should just be grateful for what they get is in line with the contention that workers in a multinational corporation’s sweatshop should be grateful to earn pennies for their labor. Free-market proponents argue that those workers are better off because they have been given the “opportunity” to make those pennies, but that doesn’t change the reality of exploitation. That’s what’s going on in the NCAA. 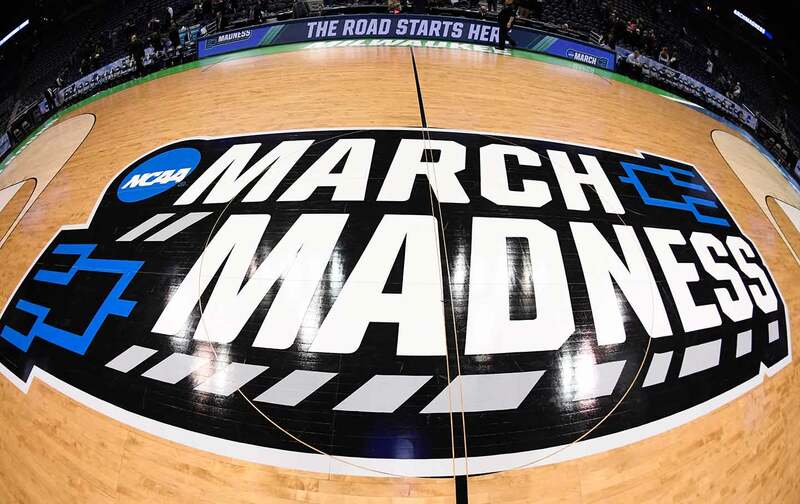 The NCAA sits on a cash cow, a Scrooge McDuck–type gold mine, and it is very happy with the system working the exact way it was designed to work. The NCAA story is not that different from the trials that professional athletes have had to endure to achieve economic power and mobility. We are in the process of developing a book called We Matter: Athletes and Activists (Etan Thomas is the writer, Dave Zirin the publisher for the Edge of Sports imprint at Akashic Books) in which different politically minded members of the sports world—including Kareem Abdul Jabbar, Bill Russell, Laila Ali, and Carmelo Anthony—are interviewed. One of the interviewees is all-time NBA great Oscar Robertson, who recalls challenging the NBA in court to win free agency at a time when teams basically owned players. He discussed the sacrifice of Major League Baseball’s Curt Flood, who, after being informed that he was to be traded to Philadelphia, famously told Commissioner of Baseball Bowie Kuhn in a letter, “I do not regard myself as a piece of property to be bought or sold.” He requested the right to be a free agent and took his case all the way to the Supreme Court. Flood lost his case and never reaped the rewards for his bravery. But eventually, the court ruled that players should have the right to be a free agent and that free agency for players should be attained through collective bargaining, which is the system we have today. Now history is repeating itself. Whenever the topic of paying college athletes is brought up today, forecasts of the death of college sports flood the airwaves. Yet the only thing that will destroy intercollegiate athletics is continuation of the current system, a system without a moral center that careens from one scandal to the next and is rooted in rank exploitation. This system will either be wrecked by its current minders or remade by the players themselves. The NCAA is not going to change anything if it is not compelled to, just as the NBA and MLB weren’t going to change anything back in the day without the push of people like Oscar Robertson and Curt Flood. The players have the power to force a change, but only if they refuse to be pawns in someone else’s game. In the name of Curt Flood, Oscar Robertson, the USA women’s hockey team, and everyone who has stood or is standing for economic justice in the world of sports, the players in this year’s Final Four should not take the court until grievances are heard.